Don Modesto Tequila Añejo is made from 100% Weber Blue Agave, and twice distilled through a unique system known as "la tirade de la cabeza y cola" which means the removal of the "head" and the "tail". The "head" contains a volume of Ethyl Alcohol, which is the agent in fermented and distilled liquors. The valve is opened to dispense the Ethyl Alcohol and any other gases used for the fermentation process. Then, they remove the "tail" which is diluted Tequila left towards the very end of the distillation process. This unique process gives Don Modesto Tequila an exquisitely smooth taste and finish. 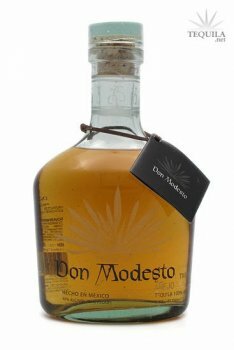 Don Modesto Tequila Añejo is aged in American white oak for 14 months. 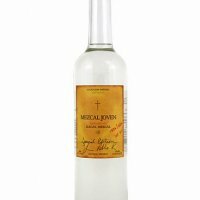 Each bottle is hand-blown by artisans in Jalisco, Mexico.